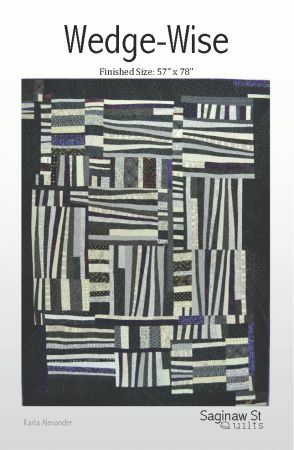 Wedge-Wise is sewn together in a free-form style, rather than a pre-planned traditional pieced method. Main blocks are pieced together then built into larger blocks by adding additional fabric strips and leftover block pieces as the top is assembled. My hope is that every quilt made from this pattern is totally different from one to the next! So, build your blocks, make it your own and Enjoy!